I am Aram, Software Engineer at Aarki. Currently, I am working with the other engineers to scale our RTB system. I knew about Aarki Armenia from its first day, my friends and my snowboarding buddies were working here. I also liked the problems that the team was solving and now, I am happy to be a part of it. Aarki is actually an innovative company and I cannot isolate a single innovation - I would say the whole process is innovative. Here is my two cents on this - “in-feed native ads” will grow most in the near future. When our product/output goes live and makes money. Friendly. We spend a considerable part of our lives at work and it is very nice to work in an environment where people understand you. Aarki is just that kind of place. Life begins at the end of your comfort zone. I always think that you need to do something unusual in order to get an unusual result. Challenges and life goals. I should always have a goal that leads me. I would like to be one of my friends in order for me to see myself from another angle. With someone else's eyes, I will know new things about myself. To live as long as the humanity lives. I want to see people’s future, their evolution and/or collapse - to see whether we could inhabit other planets or not. 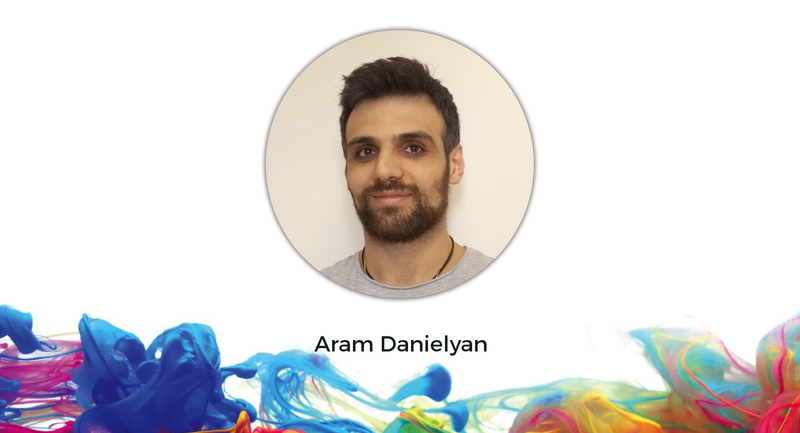 Aram holds a Masters of System Programming and has been in the industry for 10 years. His contribution in the development of Aarki is outstanding.